Custom honeycomb shades are one of the most popular window covering solutions due to their energy efficiency properties. 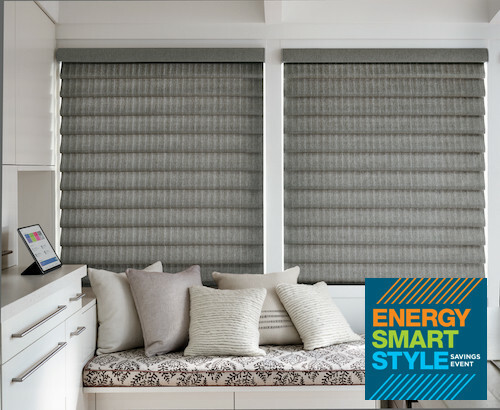 The Hunter Douglas Duette® Honeycomb Shades are constructed with air pockets to help reduce your energy bills. 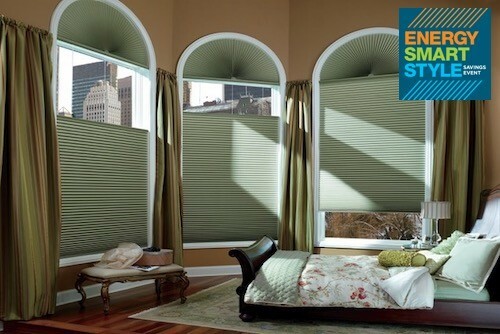 Custom honeycomb shades adorn the windows in many Brooklyn, NYC, New Jersey, and Staten Island homes. Create a cozy atmosphere this winter by keeping your home comfortable and warm. You lose a large quantity of your home’s heating and cooling energy through the windows. Minimize energy loss by adding more insulating properties to your windows. Hunter Douglas has taken thermal imaging photographs of a house where it’s clear to see the lack of insulation on uncovered windows. 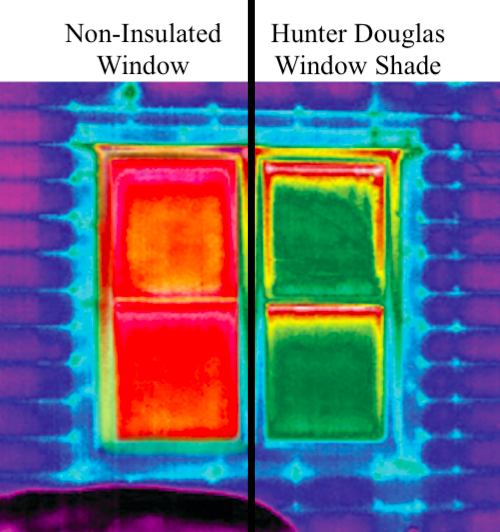 This image depicts the dramatic difference between a window with a Hunter Douglas energy efficient window shade insulating it, and a bare window. 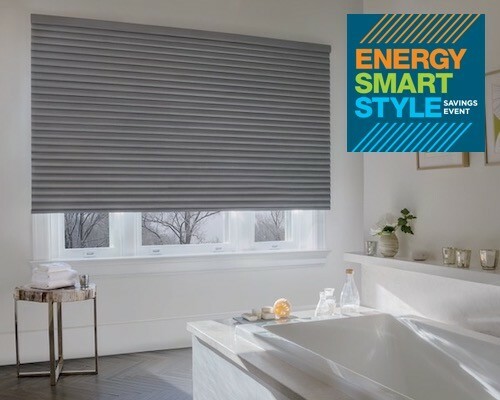 The Hunter Douglas Energy Smart Style savings event runs from January 12th until April 8th, 2019. If you need more than one window shade, it’s a great time of year to consider purchasing energy efficient window coverings for your home or business. The more you spend, the more you save for a limited time at United Decorators. Receive a $100 rebate when you purchase 4 Duette® Honeycomb Shades, plus a $25 discount for each additional unit. The more windows you insulate with honeycomb shades, the more energy efficient your home will be. Insulating your windows will reduce your energy bills, saving you money year round. Energy efficient cellular shades do more than keep your home warmer during the winter months. Cellular blinds also keep your home cool in the summer months. There are many different types of Hunter Douglas cellular shades available to suit your personal style and home décor. 2 Vignette® Modern Roman Shades, plus a $50 rebate for each additional unit. 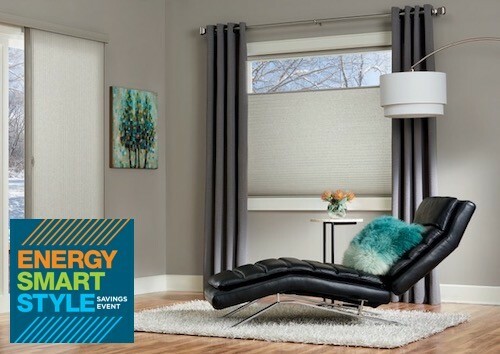 4 Sonnette™ Cellular Roller Shades, plus a $25 rebate for each additional unit. Creating a cozy and warm home setting has never been easier with Hunter Douglas energy efficient custom honeycomb shades, roman shades, and cellular shades. Insulate your windows for increased comfort while selecting beautiful window shades that compliment your home furnishings. Hunter Douglas Vignette® Modern Roman Shades insulate your windows with soft cascading folds that drape down on or across your window expanse. Modern roman shades have no exposed rear cords for enhanced child and pet safety. They are the traditional choices for many homes due to their beautiful fabric and color choices. Are you looking for simplicity in a window shade? Consider Hunter Douglas Sonnette™ Cellular Roller Shades for an easy to operate roller shade with the qualities of an insulating window blind. The slightly bubbled contoured design creates air pockets in horizontal rows. You will be completely spoiled with all the different colors, textures and fabric opacities available. Hunter Douglas Duette® Honeycomb Shades are specifically engineered with cells to trap the most amount of air as possible. If it’s maximum energy efficiency you desire, consider Duette Architella® which features a honeycomb within a honeycomb shade for double protection. Saving on energy bills is easy when you choose to cover your windows with Hunter Douglas window shades and blinds. Click here to learn more about the Hunter Douglas Energy Smart Style savings event. Cover all the windows in your house with insulating cellular shades. During the winter months, open the window coverings to utilize free solar heat. Close all window treatments at night to keep the daytime residual heat in your house. When you are heating or cooling your home, make sure that your windows are closed and locked completely. Check the weather-stripping on your windows and doors. Many people start the New Year with resolutions of saving money or renovating their homes. 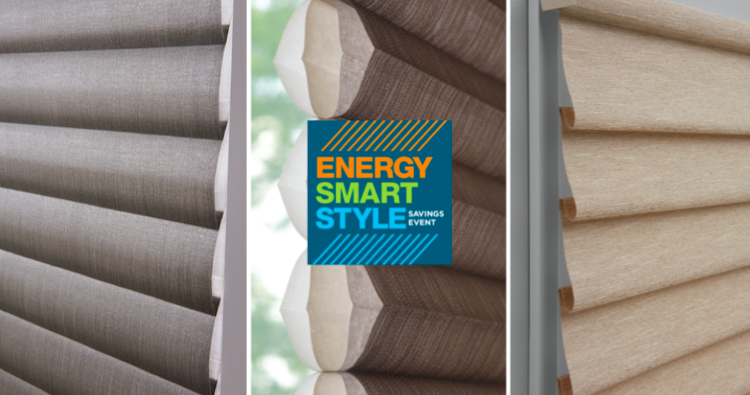 The Hunter Douglas Energy Smart Style savings event allows you to achieve both! Contact United Decorators to learn more about insulating the windows in your home and creating a beautiful space that you will absolutely love.